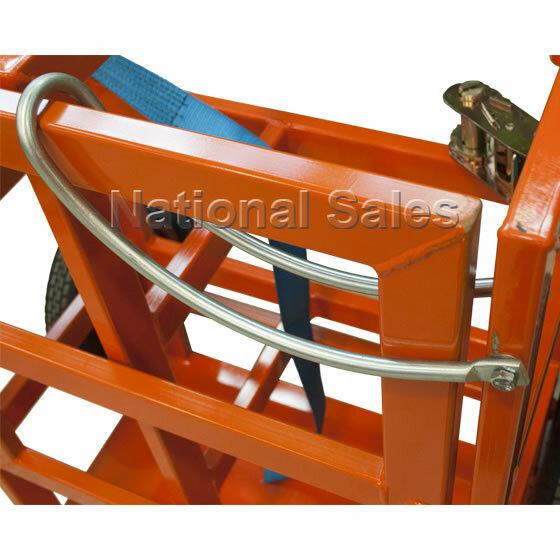 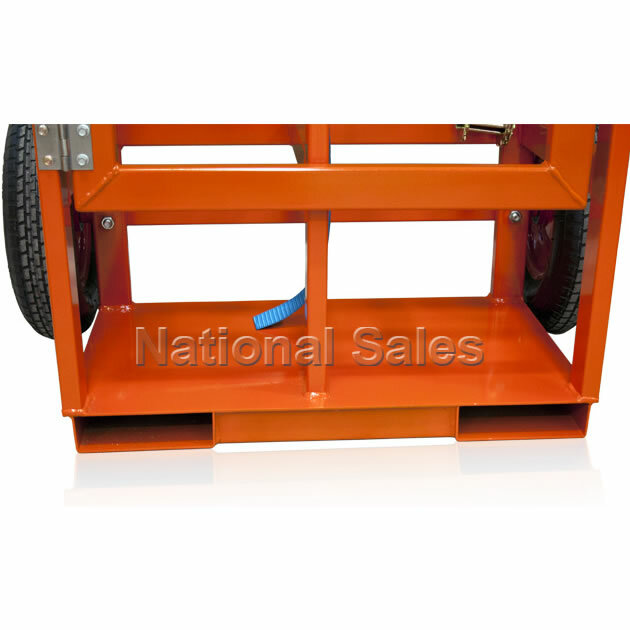 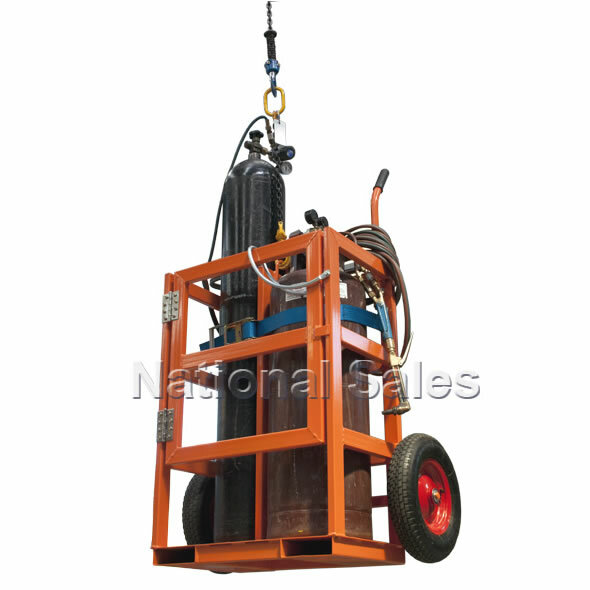 This 2 gas cylinder welding bottle trolley is a craneable trolley and designed to carry one type “G” Oxygen and one type “G” Acetylene gas cylinder. 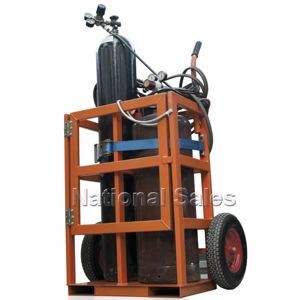 Complete with internal load-binder to securely fasten both gas cylinders. 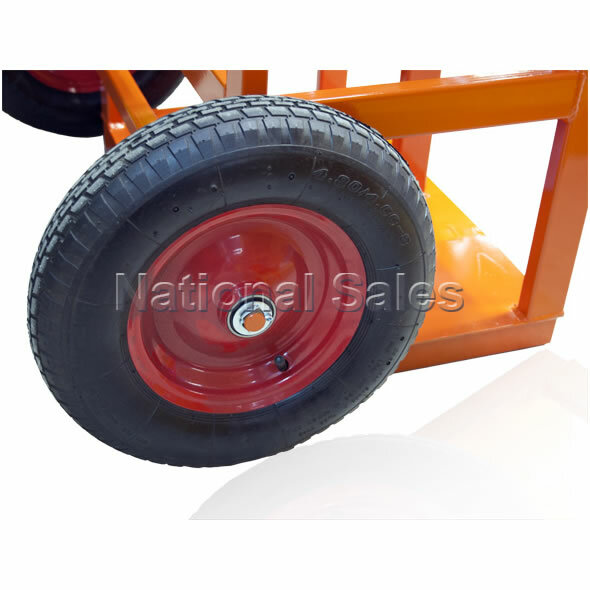 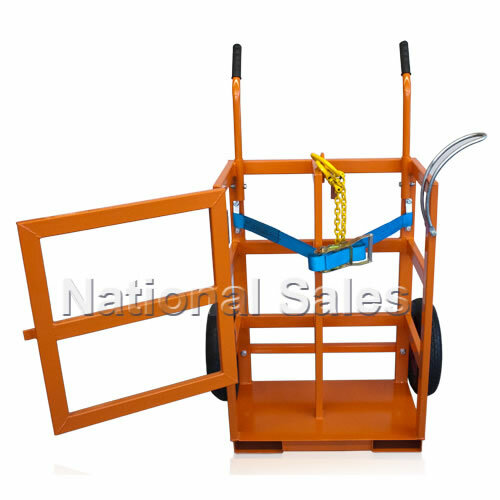 Fitted with handles and two 400mm diameter air inflated rubber wheels, this cage can be transported manually with push handles, by forklift using the fork pockets or by crane with the certified lifting sling provided.